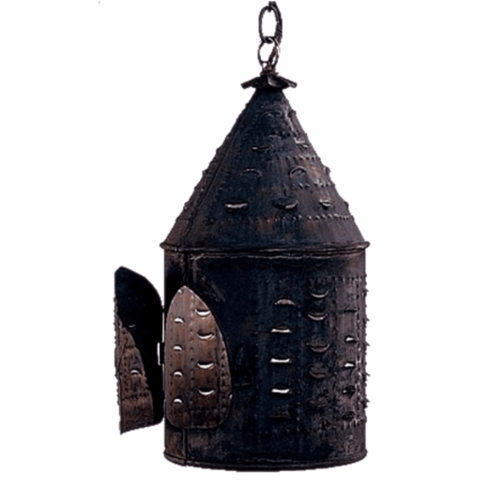 The Colonial New England Birdhouse Hanging Lantern, shown here in our burnished Dark Copper finish, is made by hand in America from high quality brass or copper, will never rust or corrode and is designed to last for decades. 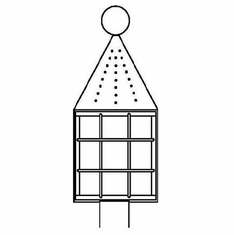 Use as indoor home lighting over a dining table or kitchen island (hanging two or three in a row works well here) or as outdoor lighting above an entry or as a porch light. Available in wall sconce, pendant and post light versions in your choice of seven all-natural hand applied finishes and four distinctive styles of glass, this traditional Colonial style hanging copper lantern works well with traditional, Colonial, Colonial Revival and Cape Cod style homes, lakes homes, bungalows and cabins. 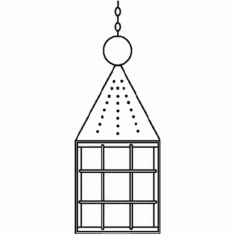 The Colonial New England Birdhouse Hanging Lantern includes three feet of chain and a canopy to hang the lantern securely from the ceiling. 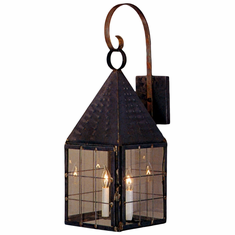 Combined with our exclusive lifetime warranty and free shipping this lantern is a tremendous value. Not quite what you wanted? Our custom design team makes it easy to create an lighting solution personalized just for you at affordable prices. Modify one of our designs, create your own or reproduce a classic. The only limit is your imagination.